We are very excited to offer new classes for our 2017/2018 season. Below you will find descriptions on our "Music Together", Acrobatics and Private Guitar classes. The focus of the Acrobatics class is to provide a proper mix of acrobatic, dance and tumbling work, while focusing on balance, flexibility and strength, which is incorporated into individual and partner/group tricks. The overall goal is to safely take students movement/dance/acrobatics to the next level at Forte Studios! Specific skills that Jenna will focus on will include but are not limited to; handstands, cartwheels, round-offs, front/back walkovers, dive forward rolls/front tucks, backward roll variations/extensions, duo tandem poses, aerial (front and side). Have you wanted to learn how to play the guitar? Well, you are in luck. This year, you can study guitar right here at Forte Studios. Corey Hart is now offering 30 minute private guitar lessons beginning Fall of 2017! To find out more information or to schedule a lesson, please contact Corey @ coreymhart@gmail.com. All scheduling will take place between the student(s) and Corey. Spaces are very limited. Contact Corey soon if interested! Corey Mathew Hart has been playing guitar since the age of 12, and performing professionally for over a decade. Corey has garnered several accolades over the years, including Madison Songwriter of the Year in 2007, two MAMAs (Madison Area Music Association awards) in 2012, and was a finalist in the international NewSong Contest in 2014. Most recently, Hart won Overture’s Rising Stars. Corey is currently working on completing a Master’s Certificate in Guitar from Berklee College of Music. As a performer, Corey plays both solo and with his group Lost Lakes. 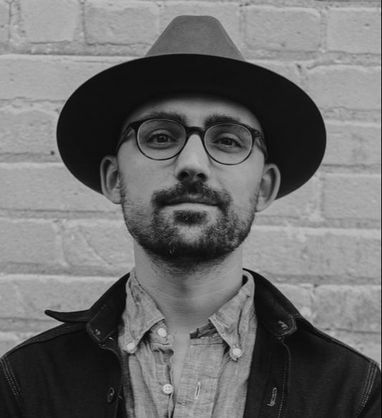 Corey has also played guitar with several Wisconsin area artists including Whitney Mann, Anna Laube, Hayward Williams, and The Mascot Theory. Corey offers individualized lessons, and enjoys helping students achieve their personal goals on the instrument.